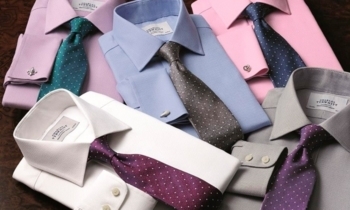 Charles Tyrwhitt has launched a bonus Avios offer. Until 28th February you will get 300 bonus Avios on top of the usual 4 Avios per £1 – and at the moment you can purchase their £60 shirts for just £22.95. We couldn’t really figure it out, but it looks like you must visit the website via the link on this avios.com site in order to qualify for this offer. Just going via the Tyrwhitt home page might not trigger it. Alternatively you can quote ‘AviosReward’ if buying in store or by phone or mail. How to get from Heathrow to Upminster for £1.50 …..
We like to cover money saving travel related stories on HFP but I’m not sure I can recommend this one. Did you know that you can get from Heathrow (Zone 6) to Upminster (Zone 6 at the other end), covering 32 miles, for £1.50? That is if you have a lot of time to waste. Reader Andrew sent us a link to this 12 minute You Tube video which tells you how to do it. You only have to change trains six times and it only takes 2 1/2 hours. (If you don’t want to watch the video the short version is: Heathrow to Acton Town then change for District Line to Turnham Green, change for a District Line to Gunnersbury then touch the pink reader for interchange, take the Overground to Stratford and touch the pink reader again, then get on the DLR to West Ham and then get back on the District Line and go up to Upminster). Out of interest, Andrew looked at a way of getting from North London to Heathrow for £1.50: Northern Line to Kentish Town then interchange and take the Overground from Kentish Town West to Gunnersbury, District Line to Turnham Green then Acton Town and finally Piccadilly Line to Heathrow. There are probably more ways of avoiding Zone 1 and paying £1.50 during off-peak times, but it’s always a question of how much you value your time. On the other hand if you are fed up with overpriced Heathrow Express tickets …..
Surf Air, the membership based private jet company which recently moved to London City Airport, has launched flights to Sion in Switzerland over the ski season. This adds a further route to their daily service from London to Zurich. Sion may be a more useful route than Zurich, since commercial flights to the airport are few and far between. My review of Surf Air’s service to Zurich is here. IHG PointBreaks back on Monday - now pricier but much improved! The X26 bus from Croydon to Heathrow is also £1.50 with contact less payment. On a good day it takes about an hour but it does tend to get stuck in traffic. An hour??? Minimum 80 minutes and only on the 4am and post-10pm trips. Even the 5am trips tend to take longer and on a school day you’d better allow 3 hours. Doesn’t help that if they are early the drivers like to wait around Sutton, and if they are late they still spend ages chatting at the Kingston changeover. “take the Overground to Stratford and touch the pink reader again, then get on the District Line again and go up to Upminster” …… I go through Stratford station 5-6 days a week and I’m pretty certain there is no district line. 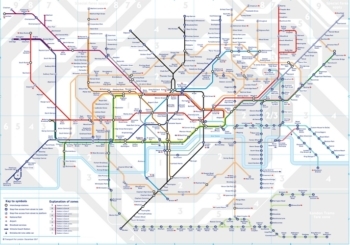 To pick up the district from Stratford you have to either take the central line 1 stop to Mile End or the Jubilee line or DLR to West Ham and change. Correct! I am annoyed with myself for not picking that up immediately. I have done Gunnerbury – Stratford – Prince Regent for Excel (WTM) a few times; not much slower than via Westminster and Canning Town changes, and, as others have mentioned, vastly more interesting. OT thinking of downgrading from BAPP to the fee free BA Amex as I have triggered the 2-4-1 voucher. I have cleared the balance down to zero but avios do not transfer until 14th February. Do I need wait for the avios to transfer before I downgrade or will I lose them? Hoping to get a couple of months fee rebate by doing it before January month end. Thanks for any guidance. It’s pro-rata by day so entirely irrelevant. You’re best to wait till the avios have definitely moved though for security. This reminds me of when I was a kid and lived near Harrow but met a girl near Sutton. 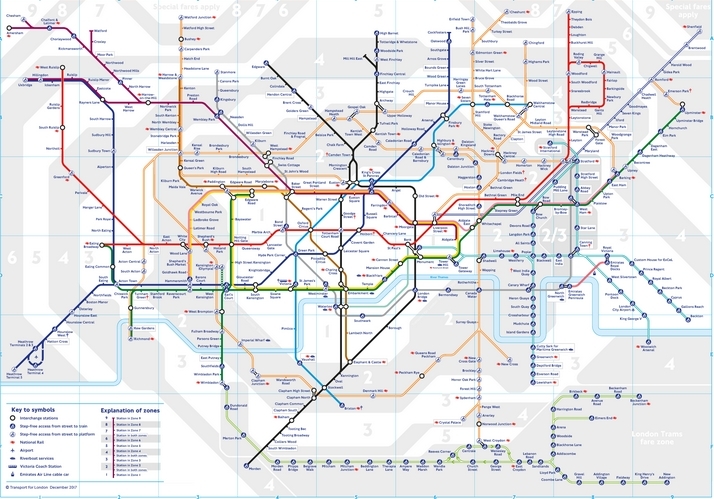 Took me hours to work out how to get there with my Zones 4,5 and 6 travel card. Although that was mostly busses. When I was a kid, I could go anywhere on South Yorkshire Transport buses for 2p. It eventually went up to 5p, but I had a bus pass to get to college by then and used that on weekdays. As did I. 7p for my Dad. Can’t believe I can get from Cardiff direct to Heathrow now for £1 on National Express if booking in advance! And it only takes 3hours!! OT Does Amex give bonus points for adding supplementary cardholders on the SPG card? Thanks. Just on the trains stuff. It is worth checking the TFL single fare finder and scrolling down for the costs when avoiding Zone 1. Its cheaper during Peak as well as Off-Peak. For me there are times when its quicker and cheaper to avoid the peak crush in Zone 1. Thanks for the slightly hidden tip Rob and YouTube man. I’ve been using the X-26 from West London for a long time. About 45 minutes to get to LHR. Came here to say this. £1.50 from Croydon via kingston and the recent x26 I was on had usb sockets!